Did you know that roughly 30.3 million people have diabetes in the United States alone? With this number growing every year, many diabetics have taken to the internet to form resourceful communities where they share knowledge, personal experiences, and tips for diabetics. We scanned numerous diabetic blogs and communities and narrowed it down to the top 40. 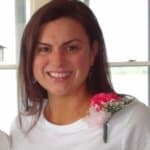 Topping the list is the blog Six Until Me, founded by Kerri Morrone Sparling. Kerry was diagnosed with type 1 diabetes in 1986 and spent most of her life feeling like she was virtually the only person with this condition. 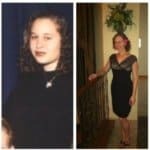 In an effort to connect with the diabetic community, she founded the blog Six Until Me in 2005. With almost a new post every day, her blog is a center for diabetes advocacy and the personal diary of her diabetic life. 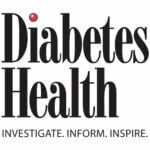 The popular magazine, Diabetes Health, also runs a full-fledged blog. Founded by Nadia Al-Samarrie, the blog features a wide variety of articles covering fitness, healthcare, celebrity news, and diabetes complications. In addition, there’s also a podcast section and a TV section where Nadia interviews other diabetes professionals. You’ll also find a ton of printable charts that you can use to keep your diabetes in check. Meri, a mother of three diabetic boys, is the founder of Our Diabetic Life. 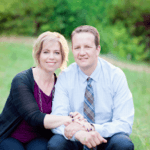 In addition to having three boys with type 1 diabetes, her husband was diagnosed with Metastatic Melanoma in 2012 and her family was stuck in the hospital for days on end. Later that year, her husband tragically died, all while never giving up faith. 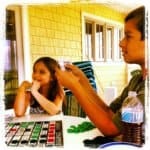 Now that her sons are grown, Meri’s blog serves as a platform to educate other parents of diabetic children. 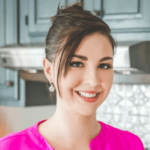 The woman behind TD1 Living is Rachel, a type 1 diabetic, and a certified primal health coach. Rachel blogs three times a week about her holistic approach to living with diabetes. Her blog is full of diabetic-friendly recipes, travel stories, and her pregnancy journey. Moreover, T1D Living has a store where you can buy clothes, diabetic supplies, and some of Rachel’s favorite books. T1D Living is certainly a go-to blog for those who want to lead a natural and holistic life while managing diabetes. 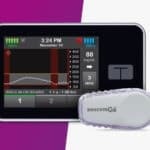 California based medical technology company Tandem has a resourceful diabetes blog featured on their website. If you aren’t familiar with the company, Tandem manufactures products for insulin infusion therapy. Their informative blog boasts content about Tandem devices and employees, incorporating your device into your style, and general tech tips. You can also stay up-to-date on new products released by the company. With over 150,000 likes on Facebook, Diabetic Living is one of the internet’s most popular diabetic communities. 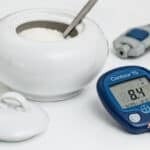 The blog revolves around every aspect of diabetic life: carb counting, tips for lowering blood sugar, advice for newly diagnosed diabetics, and insulin injections. Additionally, the website features a “freebies” section where you can download e-newsletters and test out meal plans designed especially for people living with diabetes. 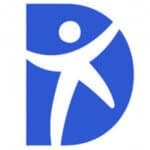 Founded by diabetes coach and nutritionist Daniele Hargenrader, Diabetes Dominator encourages diabetics to make healthy life changes to tackle diabetes. Daniele was diagnosed with type 1 diabetes at the age of 9 and became addicted to food to cope with her father’s abrupt death. Fed up with the supposed setbacks of diabetes, Danielle worked hard to transform her body and later became a fitness coach. Her blog strives to promote physical wellbeing and empower diabetics to take control of their lives and not feel restricted by their diabetes. Sarah Grace, the owner of Coffe and insulin, has a knack for holistic health and trying foods from around the world. She was diagnosed with diabetes at the age of 14, but that hasn’t kept her from traveling to over twenty different countries. Her motive behind the blog is to give readers an inside look at her life with diabetes and share her genuine feelings as she deals with the hardship this disorder brings. Hosted on the website of Healthline Networks, DiabetesMine is a blog that shares the latest news, products, and research studies related to diabetes. With a new post every day, there are miles of posts to read at your leisure. 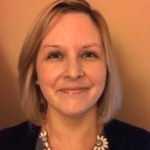 The blog is headed by Amy Tenderich, the editorial director of diabetes and patient advocacy at Healthline. Amy is a renown journalist and patient advocate who happens to have type 1 diabetes herself. Originally TheFitBlog, Diabetes Strong is a blog that encourages people with diabetes to live a healthy life. The blog was started by a woman named Christel, a fitness junkie with type one diabetes. After sharing her personal experiences with diabetes for a few years, the blog relaunched to become Diabetes Strong – a platform with multiple expert contributors. 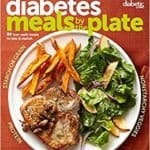 The site features diabetes guides, blood sugar management tips, and recipes. Out of all the blogs listed, Integrated Diabetes Services might be one of the oldest. The consulting service and blog were founded in 1995 by Garry Schiener, an award-winning diabetes educator. 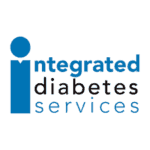 Integrated Diabetes Services offers blood sugar management and self-management training classes. 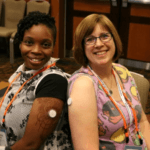 Furthermore, the website’s blog informs readers about different types of insulin and insulin pump technologies on the market. 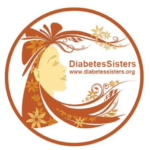 If you’re a woman with diabetes, then the Diabetes Sisters blog is worth a look. 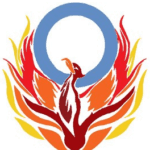 The blog was founded to provide resources for women with diabetes; especially in important times in their life such as puberty, pregnancy, and menopause. Anna Norton, the woman behind the blog, was flabbergasted at the limited amount of information and support for diabetic woman before she created the blog. In order for women to easily navigate the blog, it’s split into multiple sections: type 1 diabetes, type 2 diabetes, motherhood, and student. Surface Fine was founded by a woman who once turned to other blogs to learn how to use her continuous glucose monitoring system. After having diabetes for over 30 years, she decided it was the perfect time to share her thoughts (although she was hesitant at first). 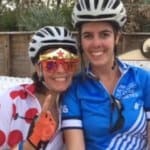 Her blog features tons of posts detailing her active lifestyle of bike ricing and marathon running. In addition to her love for exercising and fitness, she also has a passion for art and poetry and isn’t afraid to show it. Based out of Baltimore, Molly Schreiber is the blogger at And Then You’re at Jax and a type 1 diabetic. Diabetes runs in her family, so she’s no rookie when it comes to knowing the ins and outs of this chronic condition. Not only does Molly suffer from diabetes, but she also has rheumatoid arthritis. The purpose of her blog is to share her life with multiple illnesses, dissect philosophical topics, and encourage readers to improve their own wellbeing. 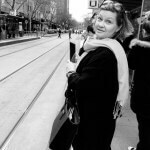 Kelly is a type 1 diabetic, avid world traveler, and the face of the blog Below Seven. The blog is called “Beven Seven” because Kelly has a personal goal of getting her Hemoglobin levels to below 7. 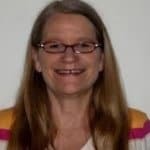 Her blog features a list of her A1C records, and you’ll notice that she actually recorded a level below 7 back in 2013. In addition to tracking her A1C levels, the blogs also dives deep into her experiences being pregnant with diabetes. 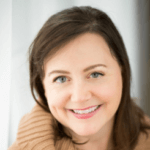 Not only did she extensively blog about her pregnancy, but she also published a book called Pregnancy with Type 1 Diabetes: Your Month-to-Month Guide to Blood Sugar Management. Sporting both a blog and active forum, Diabetes Daily is a resourceful community where diabetics across the world can connect with one another. The blog features posts with topics that include book reviews, traveling with diabetes, insulin injections, and the struggles that come with high glucose levels. In addition to the blog and forum, there’s also a page that lists real-world and online diabetic events throughout the world. Scott was diagnosed with type 1 diabetes in 1980 and has had to learn to cope with the chronic disorder ever since. He founded the blog Scott’s diabetes to help people with diabetes recognize their strength. 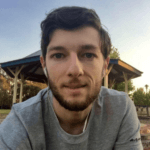 As a patient engagement manager for mySugar, Scott is an expert when it comes to helping other people learn to manage and live with diabetes. 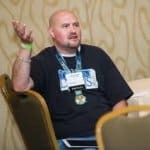 The native Minnesotian blogs about the progression of technology over the years, inspirational thinking, and his A1C records. Another blog based out of Baltimore is Happy Medium, created by a diabetic man named Stephen. Stephen is very active in the diabetic community – he’s the co-chair of the diabetes committee of the state of Maryland’s Advisory Council on Health and Wellness. In 2011 he discovered the network of diabetic bloggers on the internet and was inspired to create his own blog. 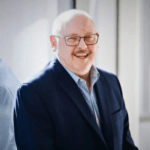 Steve actively writes about his personal story of diabetes, diabetes self-management, and shares podcasts from other diabetes experts. 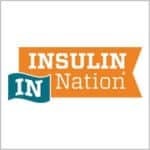 Insulin Nation is a news and blogging platform that shares information about recent news stories, insulin therapy, and the basics of living with type 1 diabetes. The platform shares a couple of in-depth, informative research articles each month along with stories about people with living with this chronic condition. In addition, one topic that the blog highlights is a potential cure for diabetes. With over 30 pages of posts, Insulin Nation is a stellar site for those interested in the science behind insulin and the logistics of insulin technology. 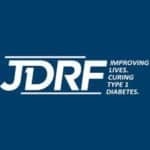 Headquartered in New York, JDRF is a nonprofit organization that funds type 1 diabetes research around the world. The goal of the organization is to help find a cure for diabetes and advocate for easier access to medical technology. Specific areas of research include diabetes prevention, restoration, glucose control, and beta cell replacement. As you can imagine, JDFR’s blog is very science-based and features the results of their clinical trials and information about technological advancement. Australia native Renza Scibilia created Diabetogenic to share her life with type 1 diabetes. Renza was diagnosed with diabetes in 1998 and shortly after started using an insulin pump. She’s a passionate member of the Diabetes Online Community and an advocate for patient’s rights. 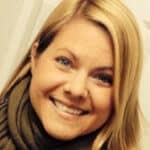 Her blog features content about her “mundane” life as a type 1 diabetic and what she has to do to manage her condition. In addition, her blog has a complete pregnancy diary that dates back to 2004 when she was pregnant with her daughter. Rachel started yoga when she was 17 to distract her from her diabetes diagnosis. After a few years of yoga, she was a fanatic and recognized its strong abilities to heal and soothe the soul. She fell in love with yoga so much that she started to teach it throughout Australia. You can clearly see her passion for yoga while reading her blog posts. Rachel shares yoga poses, tips for relaxation and feeling at peace, and recaps of her life. Caroline is a type 1 diabetic who has a passion for running, yoga, and big city life. The reason she started the blog was to share her blog and help other diabetics get into the routine of exercising. You’ll find several interesting posts about her morning runs, life in New York City, and long bike rides. Caroline touches on the struggles she comes across being a diabetic and doing intense training. Her zest for fitness certainly inspires her readers. 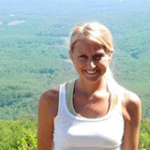 Currently practicing in Rochester, New York, Emily is a dietitian nutritionist and the face of Emily Kyle Nutrition. The wellness blog was created to encourage fellow women to live a happy and holistic life. While the main theme of Emily’s blog isn’t diabetes, she grew up around her diabetic sister and knows firsthand what living with diabetes is like. Granted that she runs a nutrition blog, she occasionally writes about food and insulin for diabetics. You might think bizzy is a twist on “busy,” however, the woman who runs My Bizzy kitchen is actually named Biz! The mom blogger is a type 2 diabetic who appreciates savory, homecooked meals. She makes it clear that managing diabetes is a constant struggle, especially with all the delicious food she cooks. My Bizzy Kitchen has a huge collection of healthy, diabetic-friendly recipes dating back to 2008. Not only are the recipes diabetic-friendly, but also help you slim down. As you can tell by the name, Diabetes Stops Here is a blog all about preventing and finding a cure for diabetes. 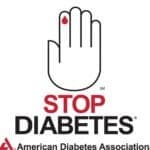 The Stop Diabetes campaign and blog is part of the American Diabetes Association. There are several posts a month about topics ranging from government affairs to the personal stories of people living with diabetes. 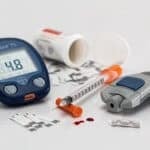 With each post, the American Diabetes Association hopes to educate readers on the prevention, day-to-day management, and a potential cure for diabetes. 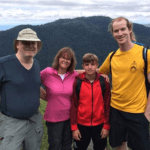 In 2010, Frank was diagnosed with type 1 diabetes and shortly after he decided to start the blog Type 1 Writes. The young Australian manages his diabetes by taking insulin injections multiple times per day. Through his blog, he has gained more self-confidence and a powerful voice in the online diabetic community. His posts describe his doctor visits, diabetes technology, and his eating habits. With over 100 pages of posts written in a story-telling manner, Frank’s blog is a must-read for diabetics. 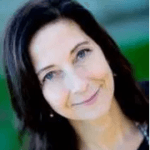 Gretchen is a Harvard-educated and type 2 diabetic who founded the blog Wildly Fluctuating. After her diagnosis in 1996, she used her biology background to extensively research the chronic condition and raise awareness in the diabetic community. Furthermore, she went on the publish the book The First Year: Type 2 Diabetes and Prediabetes. The “fluctuating” naming element comes into play because he blog covers a variety of topics ranging from glucose control to diet trends. Kate, the blogger behind Kate’s Sweet Success, is a type 2 diabetic that has been blogging since 2011. Her blog features content that revolves around her doctor visits, health insurance, and her body’s need for long-term insulin. As a member of Diabetes Advocates and top-rated blogger by Healthline, there’s no doubt that Kate surely knows a thing or two when it comes to living with diabetes. Founded in 1983, Diabetes Self-Management publishes a magazine, newsletter, and blog content. The publishing company strives to provide up-to-date information to help people manage their diabetes. This information includes advancing medical technology, new dieting trends, and research studies. You’ll find all sorts of blog posts covering topics that include the development of oral insulin and celebrities who have diabetes. Shelby Kinnaird was diagnosed with diabetes in 1999 and the first thought that came to her mind was “no more dessert?” After meeting with a certified diabetes instructor, she got on a meal plan and dropped thirty pounds. Unfortunately, life events such as moving across the country and getting a divorce caused her to gain weight by not monitoring her glucose levels. Shelby took to the cookbooks to find a diabetic-friendly way to still enjoy the delicious foods she used to spoil herself with. After countless hours of experimentation in the kitchen, Shelby realized that the secret to eating was to use local food, lean proteins, and healthy fats. Formerly known as RFamHere’s Ramblings, Diabetes Ramblings is Sue’s personal blog to share her stories (and ramblings) about her type 2 diabetes. 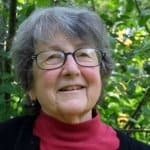 Sue has been blogging since 2009 and therefore you can start at some of her older posts and see how she progressed over the years. In addition to being a blogger, Sue is an active member of the diabetic community and frequents events around the country, never forgetting to share her experience on her blog. Arden’s Day is a blog for parents who have children with type 1 diabetes. The main focus of the blog is Arden, a little girl who was diagnosed with type 1 diabetes when she was just two years old. There are two components two the website: Arden’s Blog and The Juicebox Podcast. The blog features posts about diabetes advocacy groups and new technology devices. On the other hand, The Juicebox Podcast is a free show that hosts other people living with diabetes. Bradley Williams and Cazzy Magennis are the pair that makes up the blog Dream Big Travel Far. While Bradley does not have diabetes, he has grown to know a lot about the chronic condition due to his strong friendship with Cazzy. The two are adventurers at heart and love to travel whenever the opportunity presents itself. 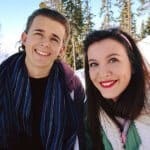 Whenever they go on a trip together, they share the experience on their blog and note the special arrangements needed for Cazzy’s type 1 diabetes. Based out of Minnesota, Laddie Lindahl is a type 1 diabetic who has been living with the condition 1976. She doesn’t view diabetes as a setback, rather just something she has to live with. 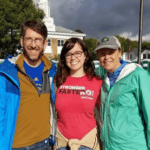 Laddie does her best to stay healthy, but notes that she’s not the “perfect patient.” After discovering the online diabetic community in 2005, she was inspired to create the blog Test Guess and Go. The native Minnesotian blogs about her insulin pump, yoga, and other measures she takes to stay healthy. As the name suggests, Diabetes Advocacy is dedicated to supporting and empowering individuals with diabetes. The blog was founded in June of 2009 and has about one post every other month or so. Some of the content on the blog includes product reviews, information about new technology, and vacation planning for diabetics. 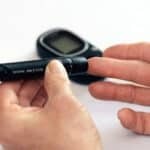 Written by two diabetic sisters, The Girl’s Guide to Diabetes raises advocacy and awareness for the chronic condition and shares up-to-date news articles. One of the sisters, Sysy, is a health coach and offers her services via email. 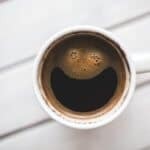 Their blog features countless articles about topics such as traveling with diabetes, relationships, diets, doctor visits, and even diabetes and art. Melinda Seed is a type 1 diabetic and the founder of the blog Twice Diabetes. The Australia native is the spokeswoman for the Type 1 Diabetes Network and an avid writer. 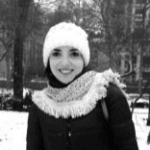 Her extensive knowledge about diabetes shows through her blog posts. Topics that she touches on her blog include the virtual diabetic community, diabetes complications, carb counting, and insulin pumps. We’ve carefully picked these top diabetes blogs because they’re actively producing high-quality posts geared towards high-quality information on living with diabetes. 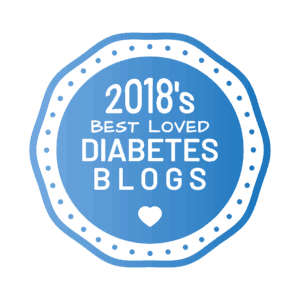 Are you listed in this, or interested in displaying the best diabetes blogs and websites in 2018? Use the embed code below to insert this onto your website.